Perhaps the best way to teach children good values in life is to let them play sports. These young athletes who recently participated in an invitational football camp share what they learned from the experience. TEAMWORK. Prestigious international football camp Milo FCB Road to Barcelona helps instill good values into young athletes. 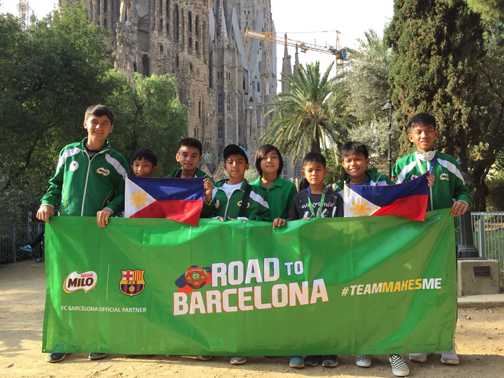 The Milo FCB Road to Barcelona, a prestigious invitational football camp, which is now on its second year, sent nine young Filipino footballers from key football clubs and schools in Metro Manila, Laguna, and Cebu to Barcelona, Spain in 2017. 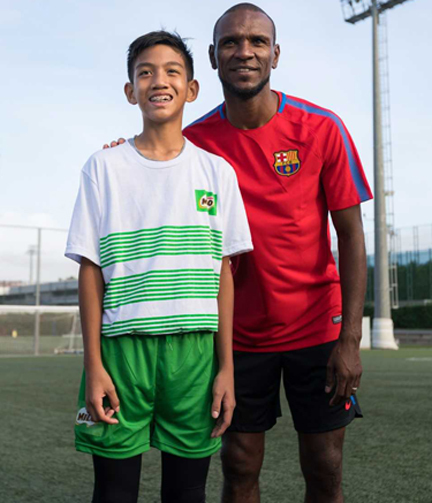 The deserving athletes embarked on a nine-day journey headlined by trainings facilitated by FC Barcelona’s very own players, as well as a special session with football legend, former FC Barcelona and French National Team player Eric Abidal. The kids also got to interact with 55 other young players from Australia, Colombia, Jamaica, New Zealand, Tahiti, Thailand, Singapore, and Panama, and together learned to play as one team, keeping in mind Milo and FC Barcelona’s shared values of HEART (humility, effort, ambition, respect, and teamwork). 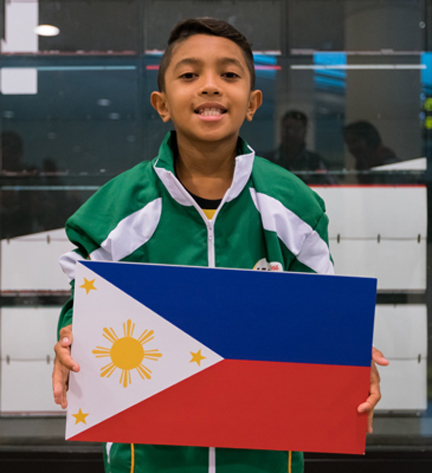 Lorenz Albert Tortona, 13, is one of the model student-athletes in the Barcelona delegation. It was his first time to go to Europe, and the whole experience broadened his perspective of the sport. The lessons he learned, Lorenz said, will not only make him a better football player, but will also help him in his everyday life. A year after the trip to Barcelona, he said the experience improved his personality and helped him become a better leader, student, and friend. Joseph Kyne Garces got a boost of confidence thanks to the sport. Another talented football player who joined the trip was Joseph Kyne Garces from Don Bosco Technical College-Cebu. “My experience in the camp playing with some of the best kids in the country helped me grow as an athlete and as a student by boosting my self confidence,” said the 13-year-old athlete. Also part of the delegation was 13-year-old Enzo Courbet, an 8th grade student at Brent International School-Manila. The MILO-FCB 2017 delegates are all excited when they arrived in Barcelona, Spain to hone their skills. Influenced by his dad who played the game a lot growing up and by his cousins in France who treat the sport as religion, Enzo started playing football when he was 4. Considering his roots, football could very well have been his main priority, but his mom, Marizel, said that Enzo’s biggest challenge was balancing his academic standing as an honor student while fueling his passion for the sport. 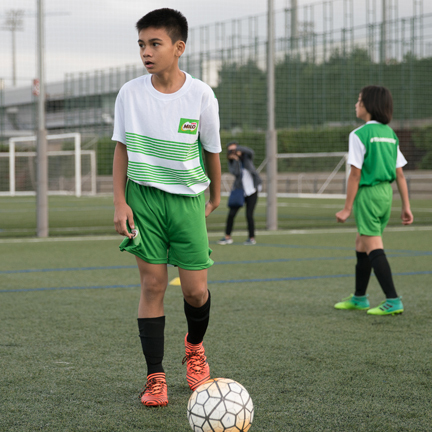 “The Milo FCB program emphasized and impressed upon Enzo the value of discipline, which is very crucial in excelling both in academics and football,” said Marizel. For his part, Enzo was very appreciative of the work ethic he gained from the Barcelona experience. “I learned the importance of putting more effort and energy in everything that I do, whether on the pitch or in the classroom,” he said. “Seeing all the talented football players from other countries, I realized that I should not be complacent because there are others who are better than me,” he added. Playing football has helped transform Kevin Hadap from a ‘rebellious’ student into a determined one. Kevin Hadap, a grade school pupil at the Diosdado P. Macapagal Elementary School, also made it to the nine-man delegation. Growing up in an underprivileged neighborhood where it was more common to play football in the streets, Kevin’s journey is not one without hurdles. He had to grapple with schooling during his early years playing the sport. “Dati, hindi yan mahilig mag-aral. Sa katunayan, tatlong beses siya umulit ng Grade 1 (He didn’t like studying before. In fact, he repeated Grade 1 thrice),” related Kevin’s father Conrado. 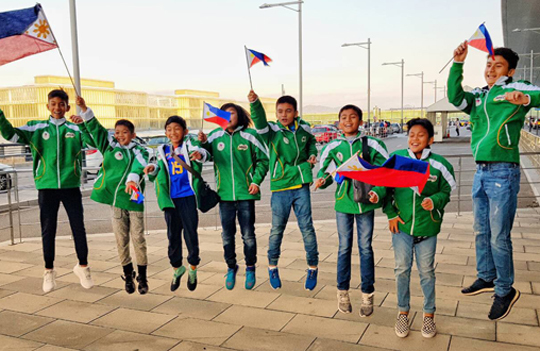 Fortunately, there were some football coaches from the nearby Gawad Kalinga football team who saw Kevin’s potential and inspired him not only to play the sport but also pursue his studies. He has since become a GK scholar, currently balancing his academics with his passion for football. The Philippine team at the international invitational football camp. While performing well in school in recent years, Kevin has also been recognized as the Gawad Kalinga MVP. His resolve to finish his studies and excel in the sport is what fuels his bigger ambitions in life. The nine-day trip instilled in Kevin, a fan of Messi, the rewards of determination and hard work. “Nagpapasalamat ako na nakasama ako sa Barcelona dahil nakita ko ang mga idol ko na maglaro at ako rin mismo nakapaglaro kasama ang mga players mula sa ibang bansa. Na-inspire ako na mas galingan pa ang pag-football ko dahil sa lahat ng natutunan ko sa Spain (I’m grateful I was able to join the Barcelona camp because I saw my idols play and I was able to play with other players from other countries. I became inspired to do better because of what I learned in Spain),” shared Kevin.